A terrorist opened fire on soldiers and civilians standing at a hitchhiking station at the junction near the community of Givat Assaf in the Binyamin region, between the towns of Beit El and Ofra. Two IDF soldiers were murdered, a serviceman was critically wounded and a civilian is in serious condition. This latest attack follows on the heels of Sunday’s terrorist attack in Ofra. Tourism Minister Yariv Levin called on the government to respond by pushing forward legislation that would regulate hundred of homes in Judea and Samaria. 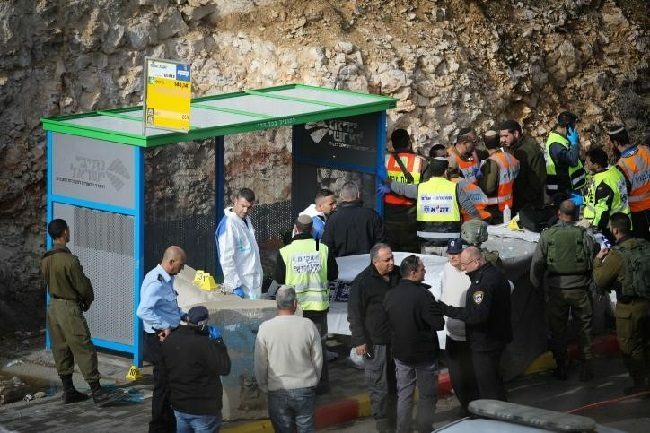 The Jerusalem Post reports that only hours later car ramming attack was foiled today in Al-Bira near the West Bank settlement of Psagot, north of Jerusalem, according to the IDF Spokesperson’s Unit. This is the third terrorist attack in five days. Community leaders throughout Judea and Samaria are calling on the government to take action to stop the terror and will organize a general strike on Friday.